Created by Theirry Bellisha and Haimy Mann in 1999, CrownRing has delighted engaged couples with their contemporary twist on traditional matrimonial jewelry. 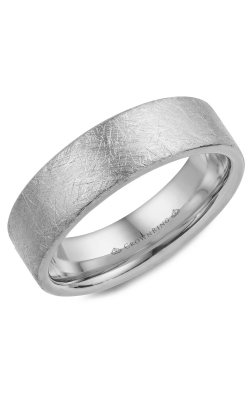 CrownRing wedding bands were created with royalty in mind, and fit for a groom and bride ready to conquer their world together after the marriage ceremony. Therefore, it’s fitting that these wedding bands look like something straight out of a fairytale. Browse Medawar Jewelers’ wide selection of CrownRing wedding bands online, or visit any of our five locations to try on a piece in person. Medawar Jewelers carries five notable collections of CrownRing wedding bands for the modern bride and groom. The Classic collection is simple and minimalistic; sleek patterns are created on the face of the band with different metal colors and milgrain detailing. Rings from the Carved collection carry sculptural details on their faces. From hammered metal faces to delicate beading and geometric designs, these Crownring wedding bands are distinguishable by their intricately carved patterns. 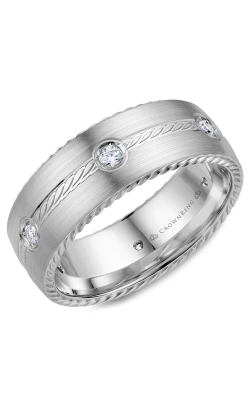 CrownRing wedding bands in the Rope collection are styled for both men and women. Each ring has lines of braided rope detailing on the edges and the face. For a glamorous look, choose a piece from the Diamond collection. These beauties hold traditional colorless diamonds as well as striking black ones for a look that imbues traditional silhouettes with forward-thinking design. 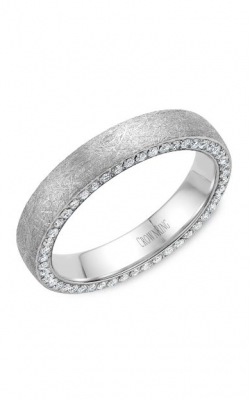 Every CrownRing wedding band embodies strength in their designs for a one-of-a-kind ring that lasts. Since 1978, Medawar Jewelers has served the greater Lansing, Michigan area with impressive fine jewelry and timepieces as well as meticulous customer service. With five locations in Lansing, Okemos, Jackson, Portage, and Brighton, the Medawar family has flourished thanks to their skill in the jewelry-crafting industry and exquisite pieces. We pride ourselves in only using conflict-free diamonds, fairly traded gemstones, and ethically sourced precious metals in our jewelry and timepieces. For more information on the products we carry and services we offer, contact us on our website or send us an email at info@medawarjewelers.com.